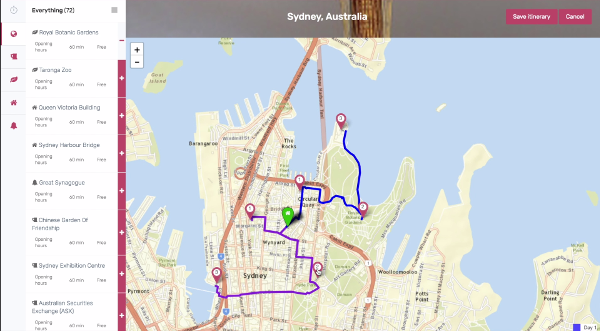 Govell is a web platform that helps travellers in the management and planning of their trips saving time and effort. Govell provides recommendation features using cutting-edge collaborative filtering techniques. We process large-scale data using ElasticSearch engine. 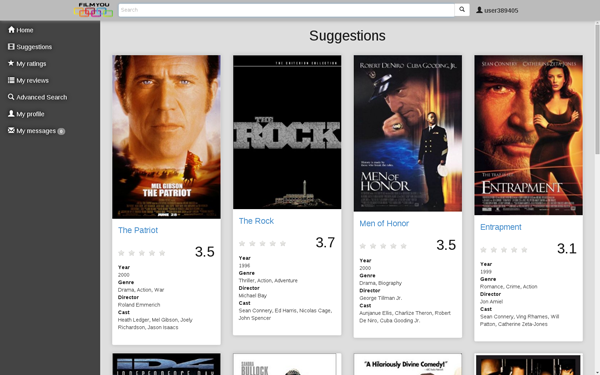 FilmYou is distributed recommender platform capable of making personalised recommendations using collaborative filtering techniques in a big data environment. It uses Apache Hadoop (MapReduce) and Apache Cassandra (NoSQL column-store) to achive high scalability and high availability. 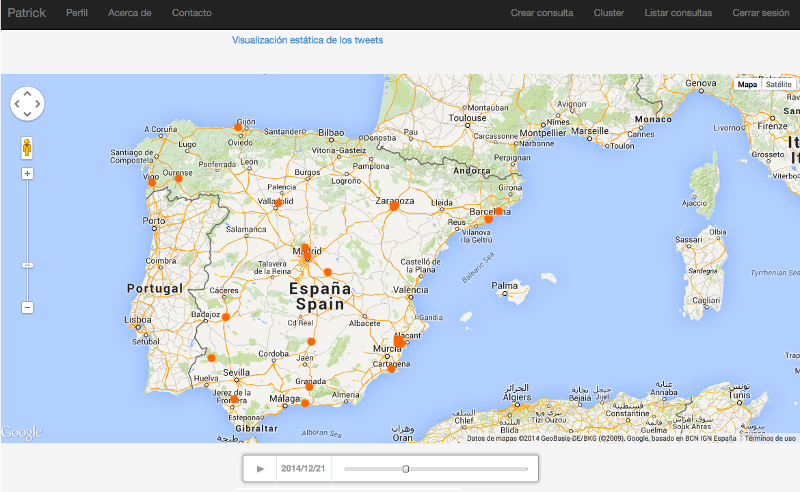 Patrick is a tool that performs a geospatial analysis of topics on Twitter. You can discover tweets about the topics you are interested in. Using CartoDB (a GIS technology), Patrick provides an insightful view of these tweets and offers a great variety of visualisations. 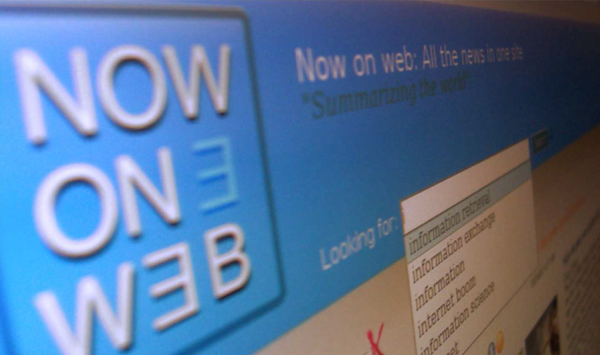 NowOnWeb is a NewsIR system that deals with the on-line news sources. It supplies with an effective and efficient approach to show news articles, about a specific topic, to the user in a comfortable way. 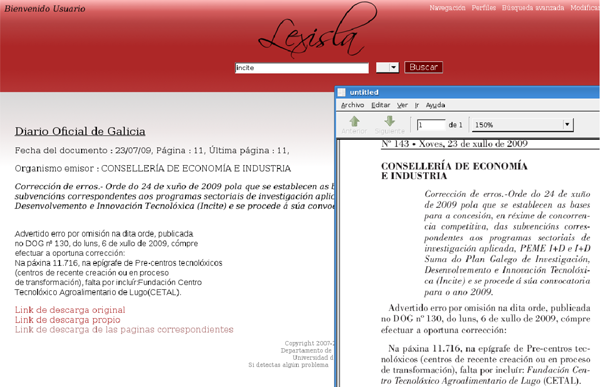 Lexisla is a LegalIR system that crawls, segments and index official legal bulletins. It was developed with the support of Fundación Calidade and it is being used by the UVTT team, currently providing up-to-date access to Boletín Oficial del Estado, Diario Oficial de Galicia, Boletín Oficial de la Junta de Andalucía, Boletín Oficial de Castilla Y León and Boletín Oficial del Territorio Histórico de Álava. 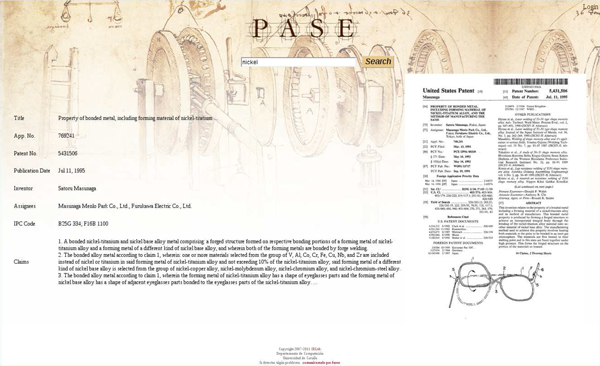 PASE is a PatentIR system which automatically crawls, segments and index patents from the main sources available in the Web. It was developed with the support of Fundación Calidade, to enable querying over an extensive database of patents and aplications published by the World Intellectual Property Office (WIPO), the European Patent Office (EPO), the United States Patent and Trademark Office (USPTO) and the Boletín de la Propiedad Industrial (BOPI, Spain), in an unified way, and to offer metasearch services over these sources. 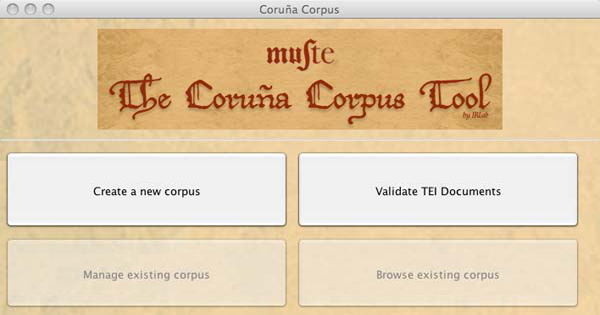 The Coruña Corpus Tool (CCT) is a development carried out by the IRLab in collaboration with the MUStE Group (Department of English Philology) of the University of A Coruña. In fact, the application was created in answer to the need of the Muste Group to have a system to manage and exploit its linguistic corpus. 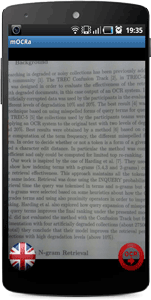 mOCRa is a mobile application for the operative system Android which makes possible obtaining text and working with it from pictures taken with a mobile device. It has a simple and direct multilingual interface, which lets us access its features in a fast and effective way. 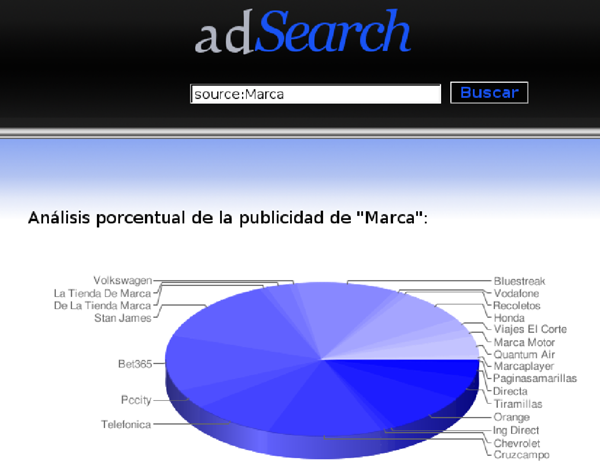 adSearch is an AdvertisingIR system that crawls, segments and indexes all kind of advertising that can be found on a web page. The system is composed by different modules such as specific crawler, a document analyser component, an indexer and a advanced search interface. DeDoS (Derivative Document Search) is a demo application for the high-similarity search technology. Currently, the system searches over news crawled from the Internet by NowOnWeb, returning those news which contain text derived from the documents published by a given press agency. Moreover, the application allows the users to insert free text in the application to search derived contents over the whole collection.